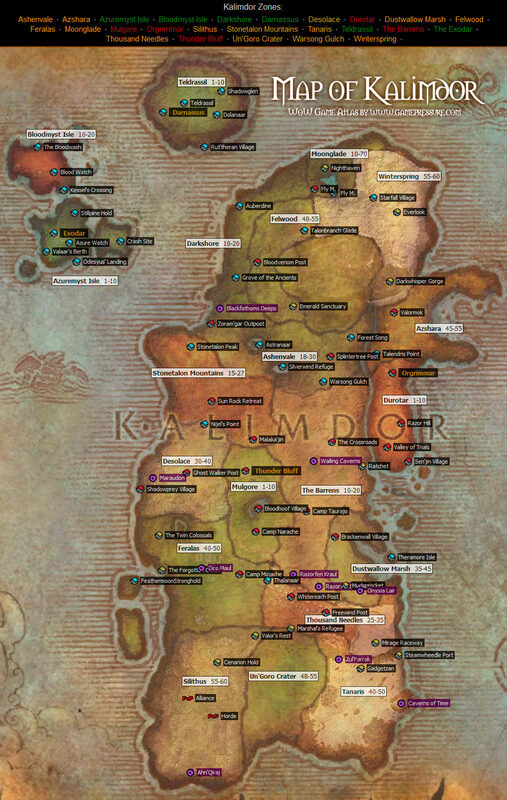 This is my map of Kalimdor from World of Warcraft. On left it's in game map. In the middle - map ripped from game graphic files. On right mixed map. 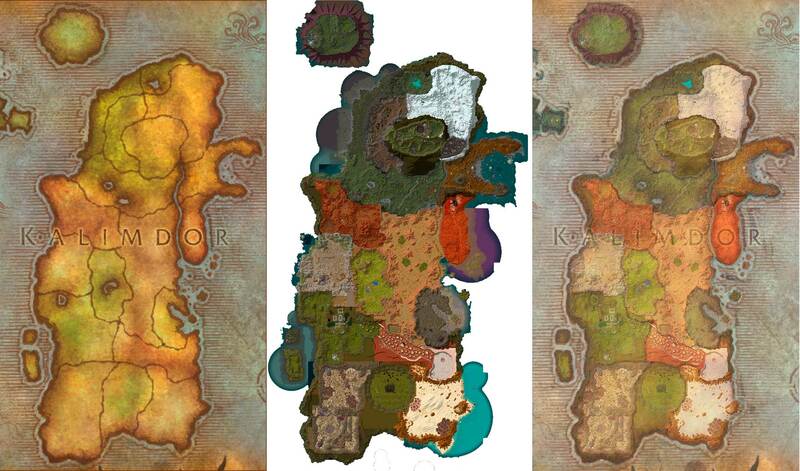 Below is use of this map on wow.gamepressure.com site. Map was made in 2004.